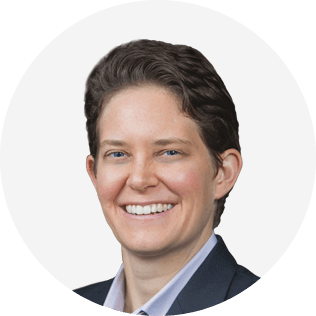 Dorie Clark is a marketing strategy consultant, professional speaker, and frequent contributor to the Harvard Business Review and Entrepreneur magazine. She is the author of Entrepreneurial You (Harvard Business Review Press). Her previous books include Reinventing You and Stand Out, which was named the #1 Leadership Book of 2015 by Inc. magazine, one of the Top 10 Business Books of the Year by Forbes, and was a Washington Post bestseller. The New York Times has described her as an “expert at self-reinvention and helping others make changes in their lives,” and she has been recognized as a “branding expert” by the Associated Press, Inc., and Fortune magazine. She consults and speaks for a diverse range of clients, including Google, the World Bank, the Bill and Melinda Gates Foundation, the Ford Foundation, Yale University, the Mount Sinai Medical Center, and the U.S. National Park Service. She has guest lectured at universities including Harvard Business School, the Harvard Kennedy School, Stanford University’s Graduate School of Business, the University of Pennsylvania’s Wharton School, the MIT Sloan School of Management, the University of California-Berkeley’s Haas School of Business, Georgetown, NYU, and the University of Michigan. Her work has been published in The Harvard Business Review Guide to Getting the Right Job, The Harvard Business Review Guide to Networking, The Harvard Business Review Guide to Office Politics, and The Harvard Business Review Guide to Dealing with Conflict. She is quoted frequently in the worldwide media, including NPR, the BBC, and MSNBC. A former New England Press Association award-winning journalist, Clark is the director of the environmental documentary film The Work of 1000. At age 14, Clark entered Mary Baldwin College’s Program for the Exceptionally Gifted. At 18, she graduated Phi Beta Kappa from Smith College, and two years later received a Master of Theological Studies from Harvard Divinity School. She is also a producer of a multiple Grammy-winning jazz album. You can learn more at dorieclark.com and download her free 42-page Stand Out Self-Assessment Workbook. Coaching can be a lucrative business, but it’s fundamentally “trading time for dollars.” To truly leverage your expertise, it’s important to create multiple income streams, including those that can create passive income. Drawing on her book Entrepreneurial You (Harvard Business Review Press), Duke University adjunct professor Dorie Clark will share strategies – drawn from in-depth interviews with today’s top entrepreneurs, coaches, and consultants – for monetizing new revenue streams, from blogs to membership communities to online courses to affiliate income.